Easily the most important role in the store is the store manager. This person sets the tone for the day, maintains the culture of the business, protects the brand, inspires the employees and shows compassion for the customer. 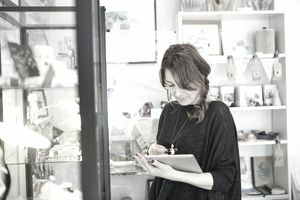 While the store manager typically receives direction from an owner or district/ regional manager, the execution of that direction is the critical task. Great strategy and great planning only work if there is great execution. Leadership Skills: Ability to inspire others to work toward a common vision and purpose. There is a difference between a manager and a leader. A retail store manager must be able to do both. Training: Since the store manager is not the only employee in the store, the ability to train others how to do the right things in the right way becomes very important. Time Management: This is two-fold—managing your time as the store manager and managing your staff's time. The store manager creates schedules, orders supplies and writes reports. Time management is the differentiator between success and failure. Analyst: A store manager must be able to analyze all aspects of the business from the P&L to the performance of the employees to the behavior of the customers. It is a fine mix of art and science. Decision-Making Skills: When dealing with employees, customers, owners or vendors, you will have to make decisions that either negative or positively affect the profits of the store every day. A store manager must be confident in his or her decisions and be quick and efficient when making them. Speaking and Writing: A more direct way of saying communication skills, a store manager needs to be able to articulate his or her vision, plan, and strategy for the store. Not only should the store manager be comfortable in front of a group, but his or her spelling, grammar, and diction need to be top notch as well. Employees follow people who can inspire. Service Skills: Every week, a customer is going to ask to speak to the manager. Not only does the store manager's skills need to be well honed when it comes to dealing with customers, but his or her ability to teach others (see training above) is paramount. The store manager is responsible for creating a culture of service in the store. While many companies will require a bachelor's degree for competency specific roles, the best part about retail is that you can prove your skill and value to the organization without a degree. There are only a few degrees (among the thousands) that prepare someone to be a store manager. Most store managers have spent years working as a sales associate which is the best preparation to manage. However, don't let years of experience trump the skills listed above. Typically, compensation for a store manager role runs from $30,000 - $75,00 per year. The broad range is due more to the number of employees and size of location than anything else. Although, good compensation plans have large incentives to earn extra income for performance. The store manager should be compensated for his or her ability to generate sales and profits in the store while maintaining a high service culture. If a store manager is "bonused" on his personal sales versus the teams' performance, then he is placed in competition with his employees.